Lemons are a huge favorite at my house. A glass of iced tea is not complete without a big squeeze of lemon. If you love lemons, why not grow your own? 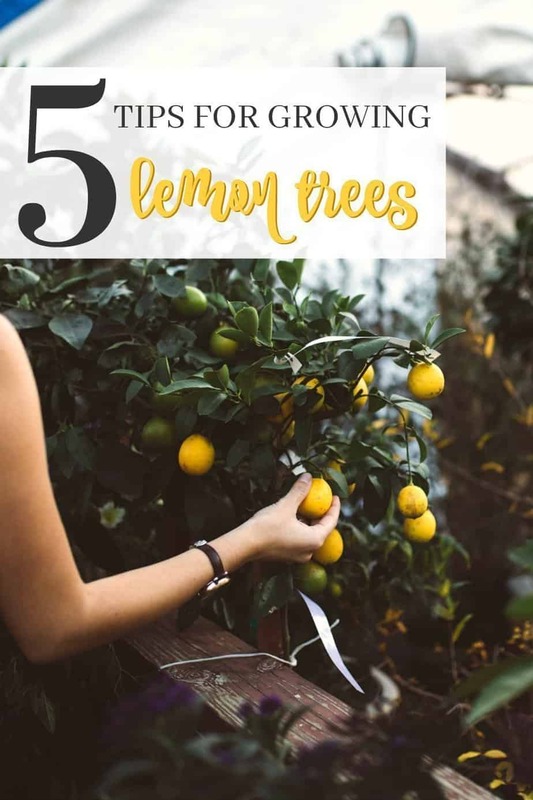 These 5 Easy Tips for Growing Lemon Trees will help you become a pro in no time at all. For me, summertime is about fresh produce, berries and using lemons in everything! 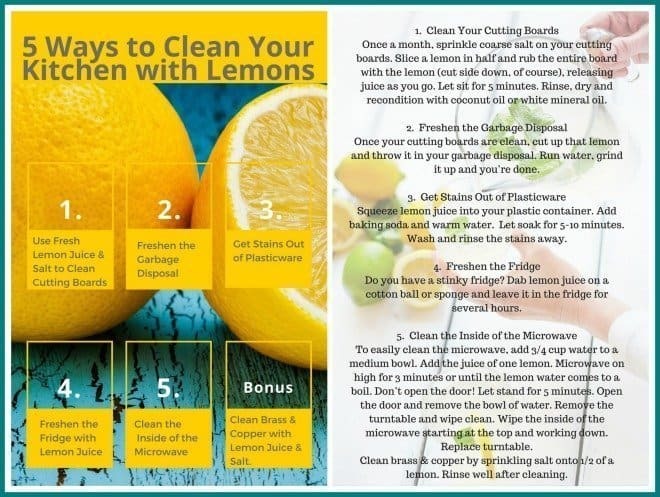 I use lemons in salad dressings, cakes, squeezing over a chicken dinner, and even cleaning my house! 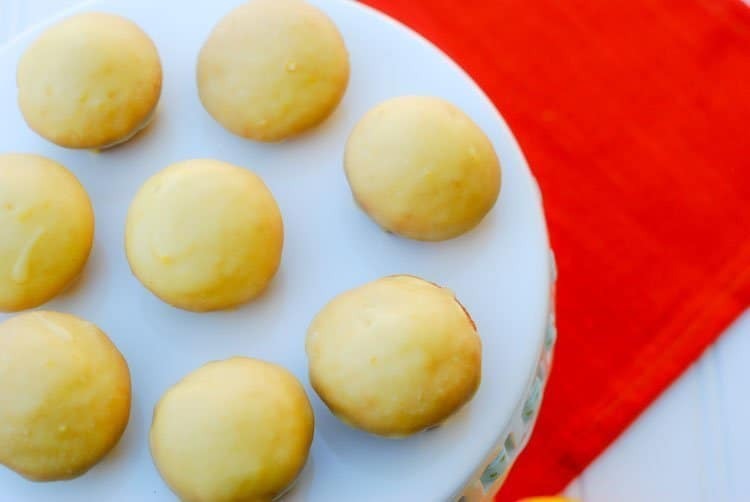 Lemons are very versatile and add a delicious brightness to any dish. Lemons are not that hard to grow on your own. Wouldn’t it be great to have a fresh supply from your very own lemon tree? As long as you treat your tree properly, it will do just fine and you’ll soon be an expert at growing lemon trees. Lemon trees grow best in tropical regions. So if you live in a place that the temperature drops below 50 degrees, you should plant your tree in a large pot and keep it in your house somewhere that has a lot of light, like a sunroom or next to a window. Some plants are capable of doing very well with little sunlight. However, lemon trees are not one of those plants. They need lots of sunlight (seven to eight hours every day) to thrive and give you the best yield possible. I know this may seem like a no-brainer. Everyone knows plants need water to live, but I’m talking about a lot of water. You won’t need to water all the time, but when you do you need to give it a good long soaking. Lemon trees don’t tend to respond well to frequent shallow soakings, but once a week giving it about two gallons (however much it takes to soak it well and get down to all the roots) has done wonders for my lemon tree. Pruning is when you cut off what’s not necessary so all of the plant’s energy goes into the branches producing the lemons. Prune dead branches or branches that never flower. This will help with getting a higher quality of lemons. If you live in a warm climate, you have a lot more leeway on when to prune. Don’t do it when it’s roasting hot. For everyone else, February through April are the best pruning months. However, you can prune any time the tree is producing flowers. This is so important. You know the saying, “you are what you eat?” Well, the same rule applies to your plants in the sense that the soil they are in can drastically affect their growth. Sandy soil is great because it has great drainage which lemon trees love. A soil with high clay content can stunt the growth of your tree. An easy fix is to mix in a little sand or gravel to improve the drainage. There’s also plant food specifically for citrus trees to give you your best chance at a high yielding tree. Follow these tips and soon you’ll be a pro at growing lemon trees. It usually takes about three years before you’ll see a harvest suitable for picking. If you start a lemon tree from seed, it may take three to six years. How big will a lemon tree get? A Meyer lemon tree grown on its natural roots can get as tall as 10-15 feet. A true lemon tree can grow as tall as 20 feet. 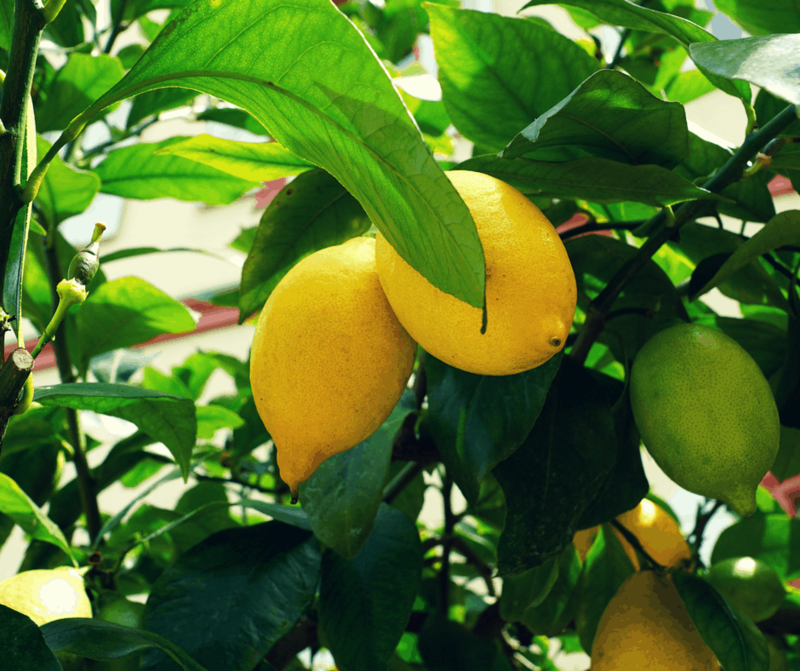 How often do you water a lemon tree? Your tree needs to be watered twice a week until it shows new growth. After that, citrus trees need to dry out between waterings. Once your lemon trees are established, deep-water once a week or every 10 days. What is the best fertilizer for lemon trees? Lemon trees need to be fertilized with nitrogen to produce strong growth. The best source of nitrogen is a slow-release fertilizer. Fertilize from once a month to every other month during the spring and summer and every two to three months during fall and winter. A nitrogen deficiency is often to blame for leaves turning yellow. When should I prune my lemon tree? The best time to prune is soon after harvest in winter and before bud break in spring. I would love to try and grow a lemon tree. I live in NC so during the summer I’m sure it would be plenty hot, but I’m worries about keeping it alive in the winter inside, lol. I tend to have a black thumb! I would absolutely love to grow some fruit trees, perhaps after reading this I will try and grow a lemon tree to start it off. Ooo I just love lemons. I wish I could grow a tree, but I know I’d kill it. Maybe one day I’ll try it out–I go through a lot of lemons. We are currently growing quite a bit of things right now. The idea of growing a lemon tree sounds cool. My daughter would love that. We need more space, our urban garden is taking over our front door area. I would love to grow some lemon trees in my yard. I try to plant flowers every year but it’s sometimes a struggle to keep everything healthy for the whole season. I wish we had underground sprinklers. I loved being able to eat fresh lemons right off of the tree in florida but here in Iowa it just doesn’t seem like a good idea. I do know some people who have indoor ones though. I use a lot of lemons so this is something that I should try out. I am not the best gardener though so I am skeptical if it would grow. I’ve always wanted to grow lemon trees. You definitely need all the tips you offered! They’re not easy! I haven’t thought of growing my own lemon. Thanks for sharing these tips. I’ll give it a try. I’ve never thought of growing lemons. Sounds fairly easy. I really love lemons so thanks for sharing some recipes. 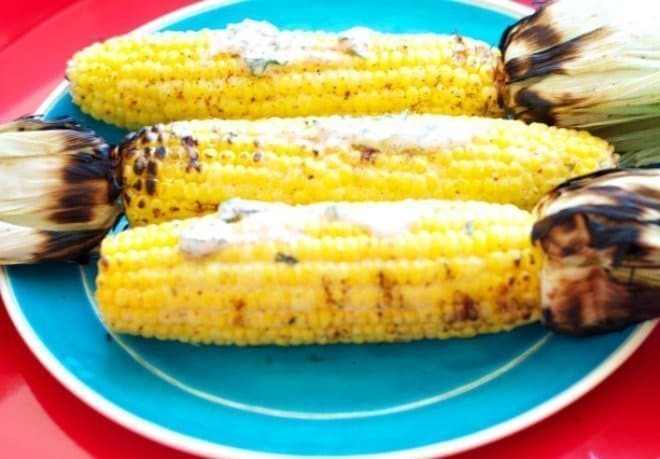 The corn on the cobb sounds interesting! I should grow Lemons I love them so much! 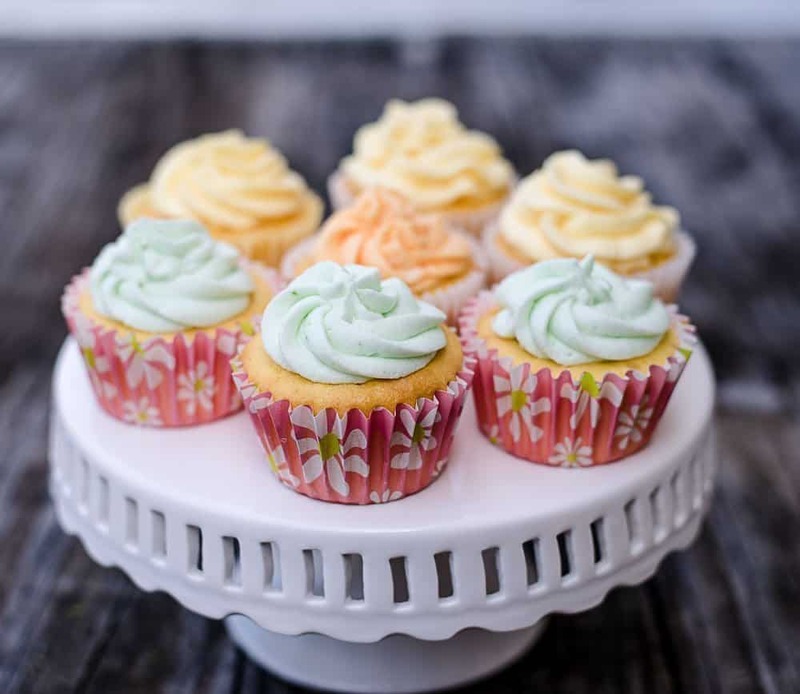 I go through at least one a day every day for my warm water and lemon and I love using them for baking cakes, cupcakes and a killer lemon loaf! Thanks a lot for these pointers. I have a lemon tree in a pot, it has been three or four years since I had it but I haven’t seen any sign of fruit yet lol. I will definitely add some sand in the dirt that it has in. I didn’t know they need that much of water. I would love to grow a lemon tree. They wouldn’t survive here in IL outside but I wouldn’t mind trying a green house or some other form. I really enjoyed your tips. Continue writing articles with this quality. I just love this post! I would LOVE to grow citrus trees but I think they would take one look at our Western NY weather and RUN – but I love how beautiful your lemons are! I LOOOOVVVEEEE the idea of having a lemon tree in my home! what an awesome list of tips to keeping a healthy lemon tree… I want to give it a go… thanks! These are great tips for growing a lemon tree. In my area the lemon trees would have to grow inside because of winters. 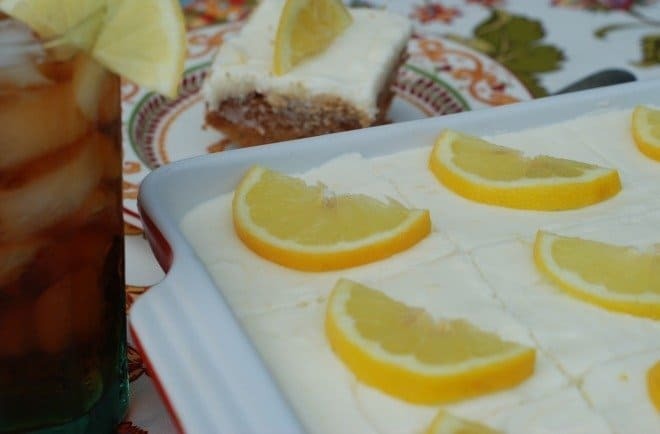 I am going to have to make a couple of these lemon recipes for sure. The lemon squares are my favorite too. Thanks for sharing the tips and the recipes. I would love to have a fresh lemon and even a lime tree. I just don’t think it would survive well where I am in Texas. Maybe if we ever have a house again, we will have to attempt planting a lemon tree. I have never experienced growing lemon trees before. I think it’s amazing and it’s awesome to be able to grow your own lemons in your backyard. It must be great to be able to grow your own lemon tree! However, I think it won’t survive here because of the winter. Citrus plants do better in warmer climates. You can grow them in northern climates by taking them indoors for the winter. It’s a hassle and you’d do best with dwarf lemon trees in a movable planter with wheels. Great tips! Using proper pruning and watering techniques varies among different trees, especially those that produce fruit, so thanks for indicating those details. I love to drink lemon juice and it’s so healthy, even the lemon peel contains a lot of nutrients.But I’m not sure if the English climate will allow me to grow my own lemon tree. Love growing veggies, herbs and fruits. 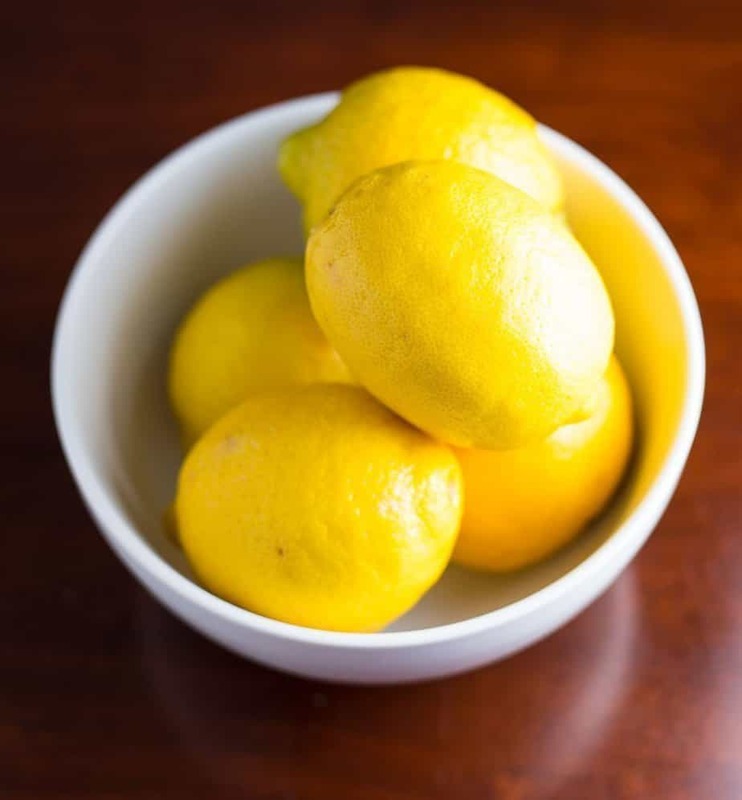 I go through at least one a day every day for my warm water and lemon and I love using them for baking cakes, cupcakes and a killer lemon loaf! Hello, In my area the lemon trees would have to grow inside because of winters. 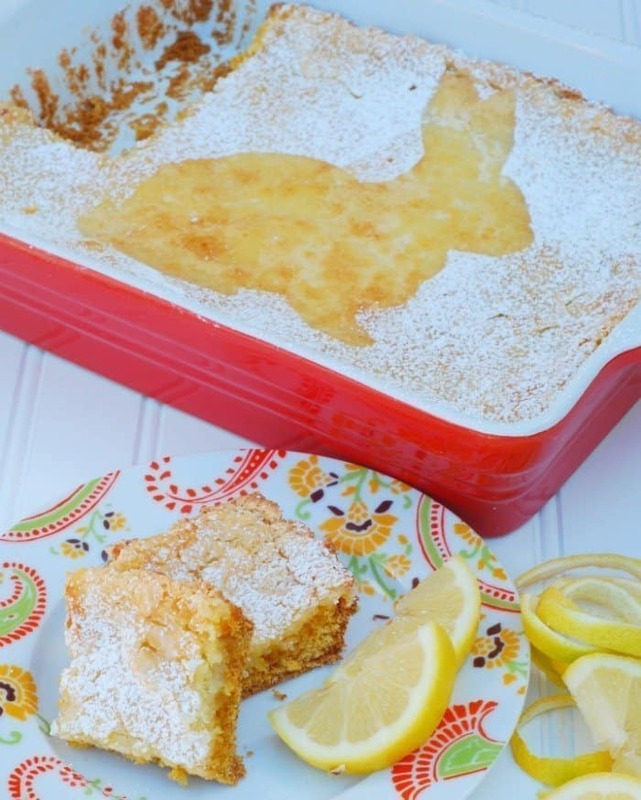 I am going to have to make a couple of these lemon recipes for sure. The lemon squares are my favorite too. Thanks for sharing the tips and the recipes. This is some really good information about growing a lemon tree. It is good to know that it would be smart to prune branches that never flower. It is good to know that will help me get higher quality lemons.